An initiative supported by the City of Gold Coast. Designed by degenhartSHEDD architecture + urban design. 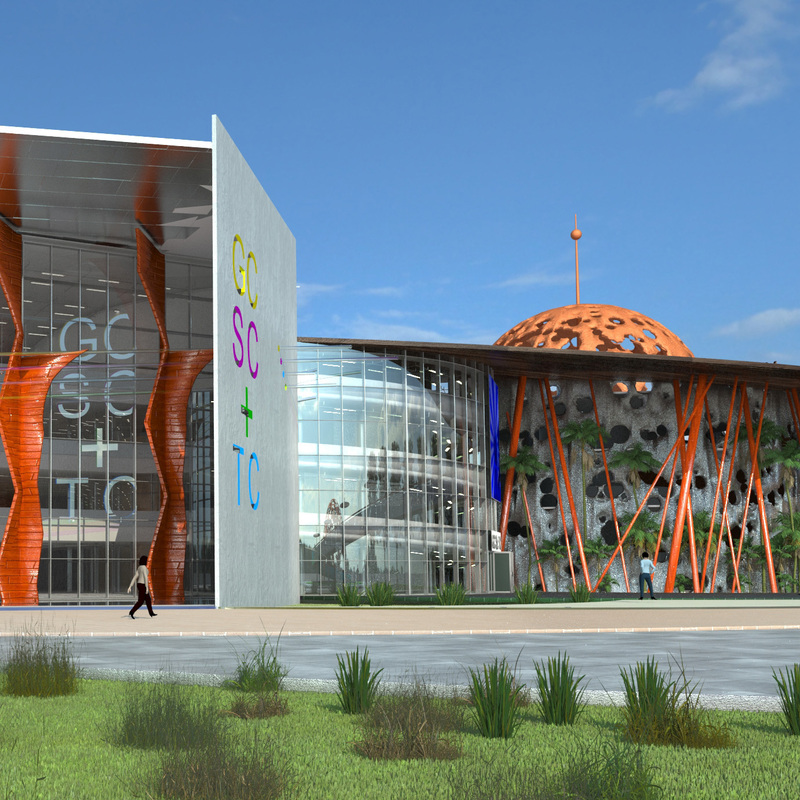 Visualisation technologies by Envision Urban. Diversify the city's tourism offerings, giving a good reason for our 12 million visitors each year to stay "one more day" or come back and visit again, as well as attracting a visitor interested in a holiday experience that not only allows them to work on their tan and their adrenalin but also their brain. Inspire young people and old alike, both from the Gold Coast and abroad, to explore science, technology and the way things work, capitalising on our country's talents in innovation and our fascination with creating better ways to do things. 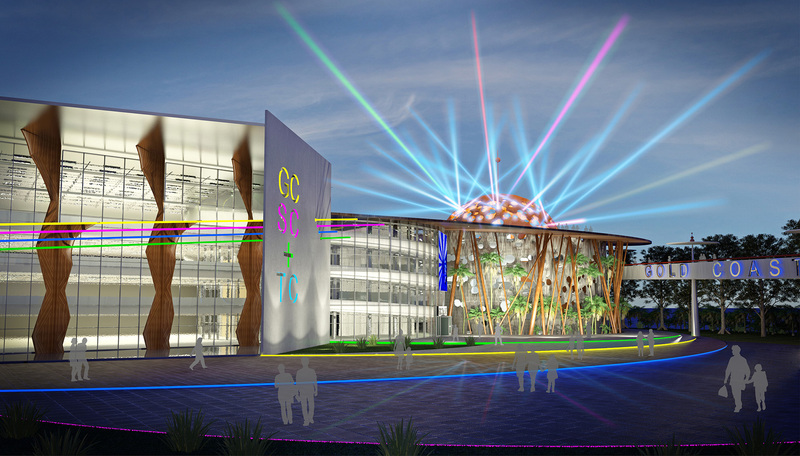 With four floors packed full of experiential, tactile science experiments uniquely Gold Coast-themed, and an observation terrace with views of the ocean and hinterland, it is hoped this project concept could be advanced in 2019, with the Commonwealth Games behind us, and the legacy of international expectations upon us to deliver on our economic promises. Located at the head of Springbrook Rd, the gateway to the Gold Coast hinterland, fronting the M1 and only 5 minutes from Bond University and Robina Town Centre the proposed site is expected to add value to the city's retail and technology hubs in Varsity Lakes and surrounds, and it is appropriate that only one kilometre away Queensland's best academic co-educational school in 2013, Somerset College, has it's home. All images are for illustrative purposes only and may differ from final design. All content on this page is for illustrative purposes only and may differ from final design.